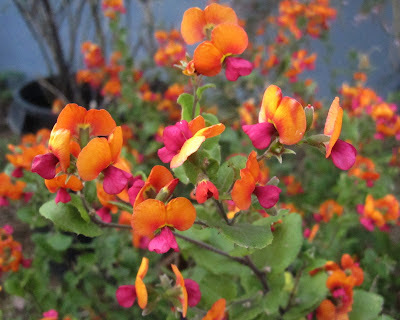 Aprille's SoCal Gardening ✿❀✾: Orange AND Pink! I do love orange. Pink is good too. But to put them together on one flower is awesome! 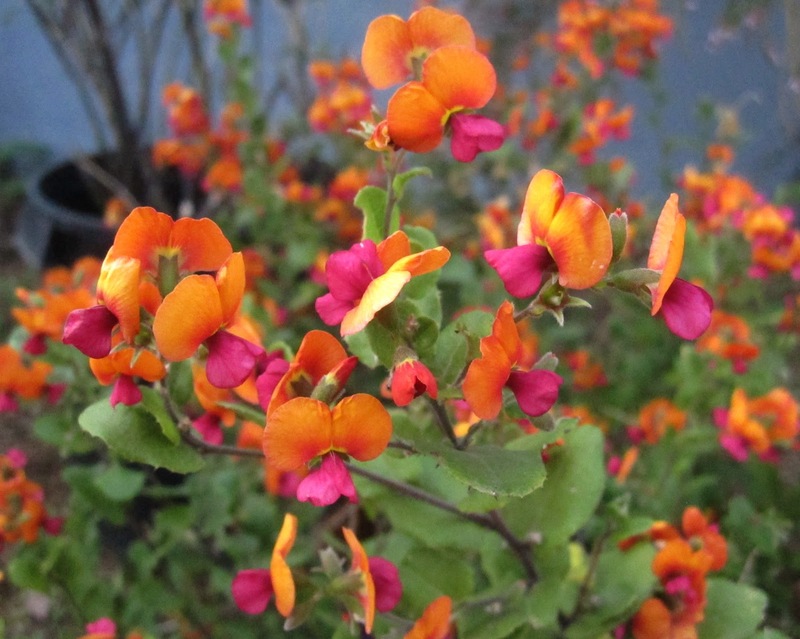 This plant blooming for me now is Chorizema "Bush Flame". I bought it at The Huntington Botanic Gardens a few years ago. It's never looked this good. Of course it is in the pea family. Look at those cute flowers! Chorizema is supposed to grow 3 feet tall and wide. Mine is about 1, 1/2 by 1, 1/2 feet and is in a pot. The leaves are kind of rough, green and oval. Of course it is from Australia. I always love Australian plants! I might plant it in the ground this year. Wish me luck! Wow. What a knockout! Gimme!